The Tears of the Heart is a compilation of the timeless truths of the Mathnawi. 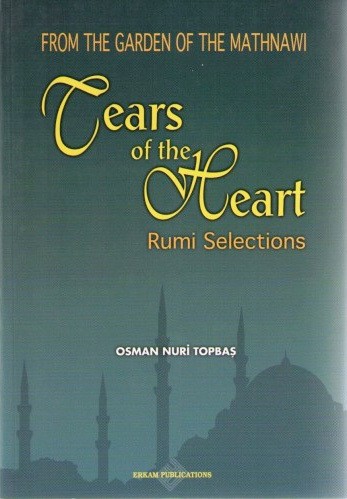 The Tears of the Heart is a compilation of the timeless truths of Rumi’s Mathnawi. The work elucidates the parables carefully chosen from the Mathnawi in light of the Qur’an and Sunnah, filtered through the vast ocean of the heart. These parables help one gain acquaintance with his own ego, acknowledge his Creator and penetrate into the truth of matter. Dear Readers. The contents of this book, which I present with the title ‘The Garden of the Mathnawi’, is as a bouquet of tulips enlivened with a fire of Love in a jug of water gathered from the elixir of the spring of the heart which resides in the gardens of the friends of Allah. Please read the Fatiha (the Opening Chapter of the Qur’an) and send the divine reward gained from it as a spiritual gift to the souls of Prophet Muhammad sallallahu alaihi wa sallam, His Companions, all friends of Allah, particularly Rumi the king of hearts, as well as to the soul of the spring of blessing, Aziz Mahmud Hudai, and also to Musa Efendi from whose spiritual teachings we have all benefited. May Allah make the last moment of our life a Shab-i Arus (i.e. Wedding Night). Success comes from Allah alone. Shaykh Osman Nuri Topbas was born in Istanbul in 1942. He studied Qur’anic memorisation and Islamic theology, and in his youth attended the circles of Nureddin Topcu, Yaman Dede, and Ahmet Davutoglu. He is a Shaykh of the Naqshbandi Sufi Order, and has established a range of educational institutions in Turkey and abroad. His books have been translated into many languages.